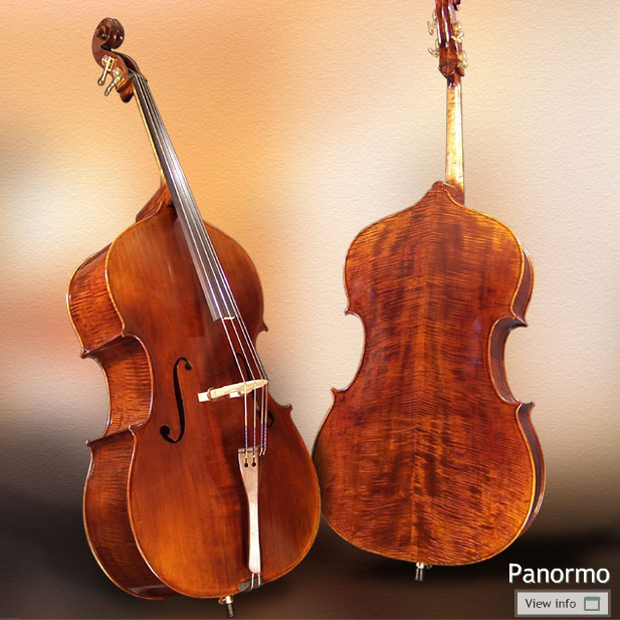 Top of the range model, the Panormo boast a big body with an easy 41.5" string length. Large upper and lower bouts encompasses you with a stunningly huge volume for orchestra or symphonic band. This bass is equally at home for a jazzer wanting a less amplified bass sound. Beautiful select maple back and sides with a responsive spruce top. Finest ebony fingerboard and hardware with top notch individual tuners. 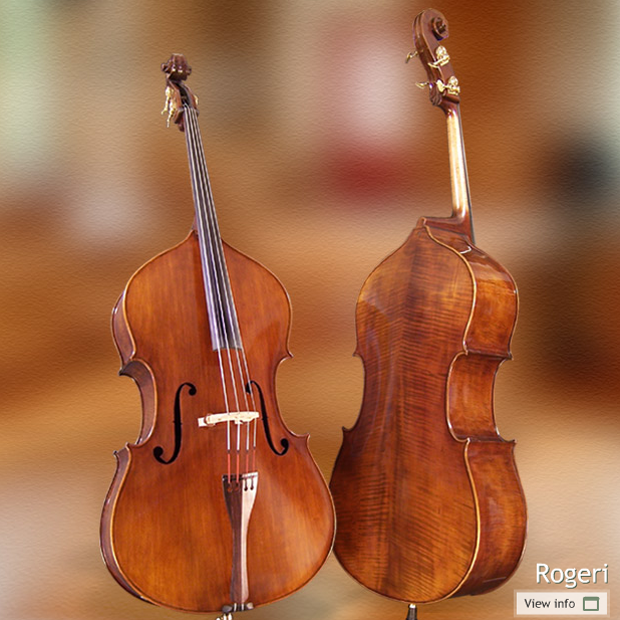 The Rogeri is a beautifully carved bass with violin corners and a slightly bigger body than the Shen 3/4 models. Still at a 41.5" string length, this bass exhibits a more complex voice and will age beautifully like any european instrument. Dressed with the finest ebony and tuning machines. This model is an all willow wood with a spruce top.It has a deeper rib than the maple Rogeri for more commanding power in the low end. Dressed with the same fine ebony and tuning machines found on the Rogeri. This is the latest addition to the Shen Basses line. 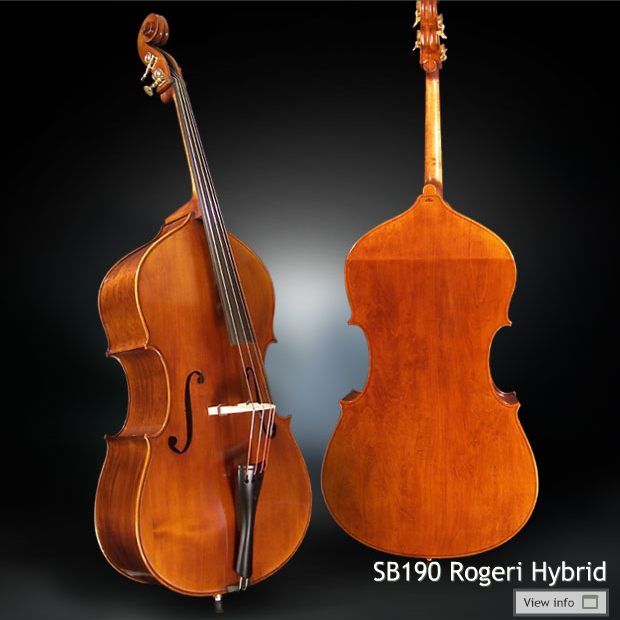 Modeled after the Rogeri outline and shape, this Rogeri Hybrid is a flatback with spruce top, willow sides and a laminated maple back. Thi bass has definition for a jazz player and also a big bottom to fill the room you are playing in. *Also available with maple sides and back. 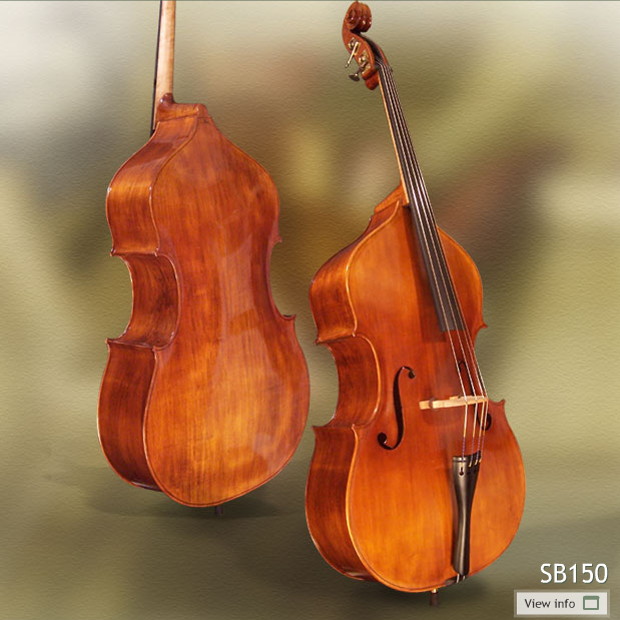 A fine hybrid bass with solid spruce top, flamed laminated sides and back. 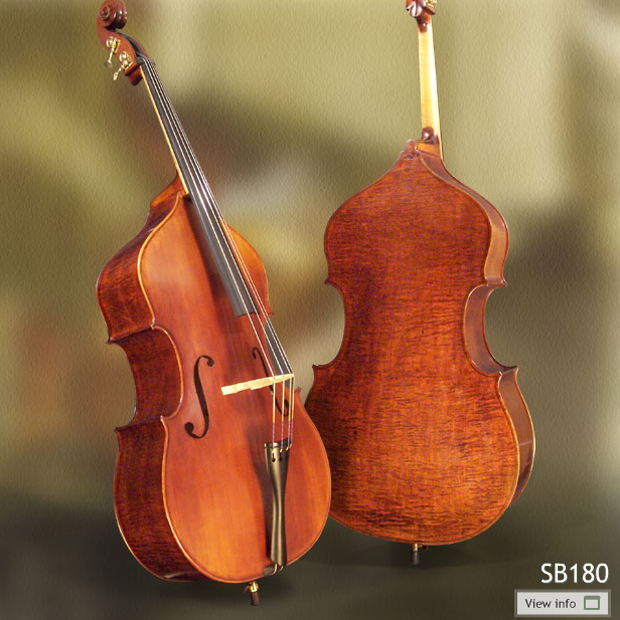 This bass bows well like a solid carved bass but with more focus towards clarity in pizzicato. This bass is a great work horse for a professional jazz bass player seeking a more focus and fundamental tone. Sounding similar to the SB180 Flamed Hybrid, this bass is a cheaper alternative without the bells and whistles in aesthetics. 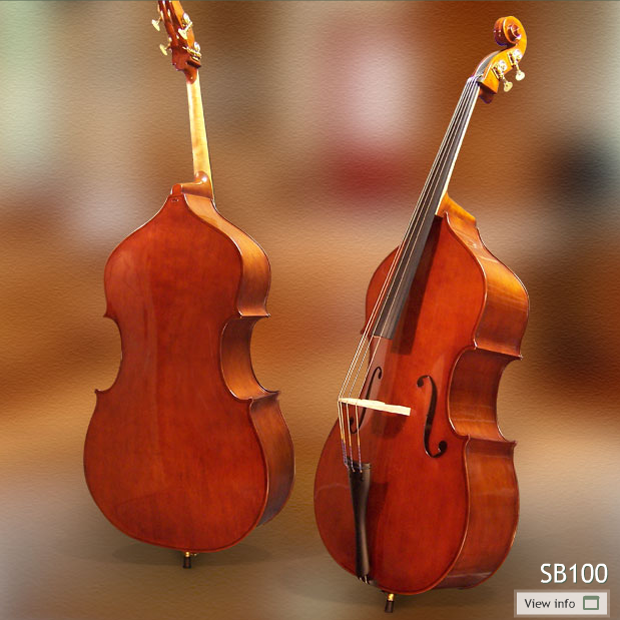 This bass bows well like a solid carved bass but with more focus towards clarity in pizzicato. 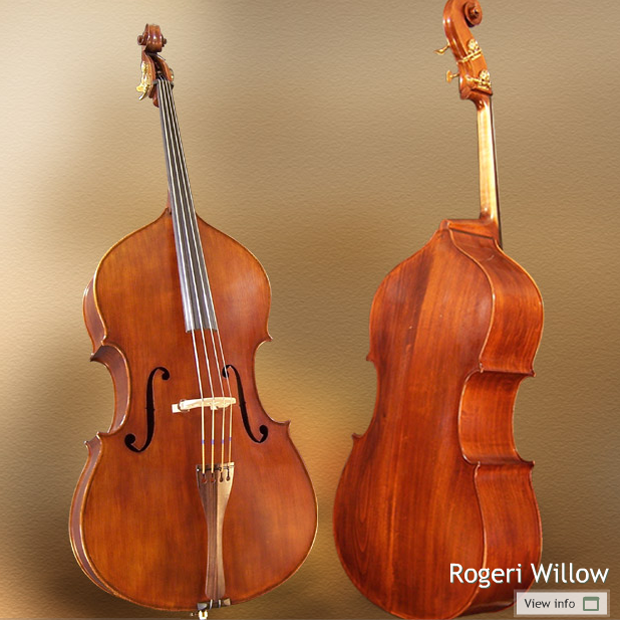 This bass is a great work horse for a professional jazz bass player seeking a more focus and fundamental tone, or a perfect beginner bass for the classical student. 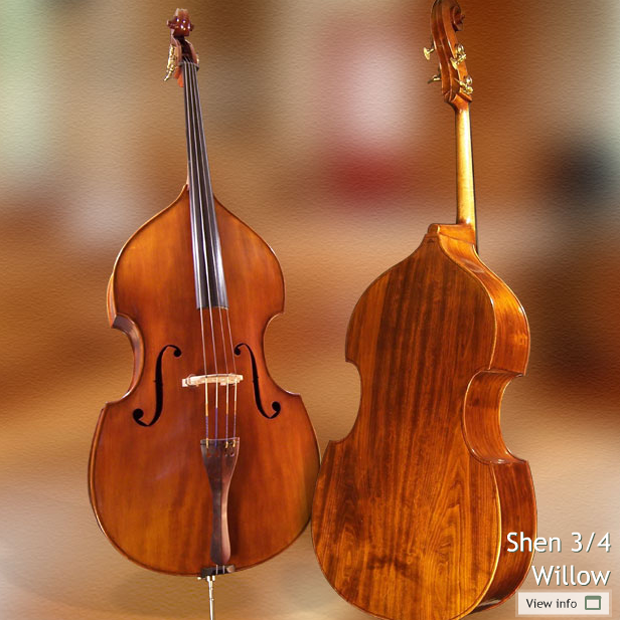 Shen's nicest looking laminated bass with spruce top and maple sides and back. 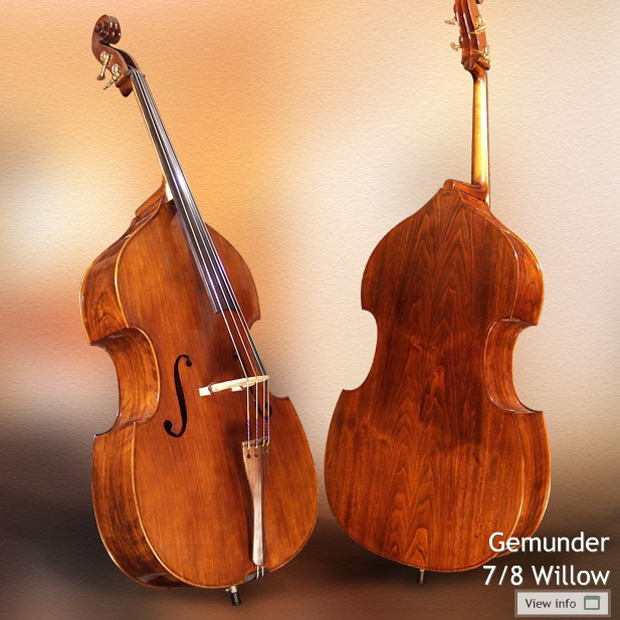 This bass is for the budget conscious or for anyone looking to begin the world of double bass playing. Economy laminated bass with the same Shen quality build. Lacquer finish with quality single plate tuners. *Blonde SB90 available only on custom orders.